Iron Lion Fitness in Orlando is a premier fitness and personal training company offering personal training in Orlando and online personal training worldwide and specializing in hardgainers, ectomorphs, beginners, weight loss for endomorphs, general fitness, strength and conditioning, muscle toning and firming, muscle mass gains, fitness over 50, seniors, teens and young adults with a strong commitment towards personalized service and individual attention for those seeking to achieve a healthier lifestyle. I have a passion for working out, fitness training, weight lifting, collaborating with other personal trainers, online personal training worldwide and personal training in Orlando, and improving the health and physical appearance of my body. I have transformed my body over many years of experimenting with various workout routines, exercises, breaking through plateaus, and developing individualized nutrition plans designed to work within my body's metabolism, available here through my online personal trainer program and as a certified personal trainer in Orlando. I can do the same for you! If you're just starting out, returning to the gym, thinking of returning, or have a specific goal you'd like to achieve, such as weight loss or strenthening and conditioning, I can help you set and exceed your goals! 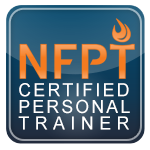 I offer personal training in Orlando and online personal training worldwide. I have over two decades of experience in weight training, fitness, and personalized nutrition plans. Contact me today. You have fitness goals. Personal trainers are everywhere. Iron Lion Fitness has the personal trainer in Orlando and the worldwide online personal trainer to make your goals a reality. Online personal training is available to everyone at a cost equal to about one in-person training session. Too good to be true? Check out all that we offer. If you have made the decision to hire an online personal trainer or personal trainer in Orlando and improve your level of fitness, we are here to help. We warmly welcome you to Iron Lion's website and look forward to discussing your goals and how we can help you meet and exceed them through online personal training or personal training in Orlando with our personal trainers.